Hannah was born in January 2014 and diagnosed with hydrocephalus. Hannah was found in a restaurant in May 2014 and brought to the institute. Her adoption report was completed in April 2015 and at that time it was reported that she had very delayed physical development and stiff lower limbs. She was described as quiet and obedient with a ready smile. She likes to laugh and be teased by caretakers. She responds to the facial expression of adults. When she is sleepy she will cry but is fine once the caretakers cuddle her. Hannah is described as a very cute girl. Her report states that everyone likes her very much and they hope she will find a family that will love her as soon as possible so she can enjoy the love of a mother, to have a happy childhood and better future. The believe Hannah will give a family joy and happiness. 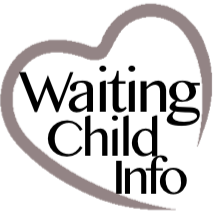 JANUARY 2016 UPDATE: Hannah is still very delayed and unable to sit independently.